Over the last few months, there has been a significant amount of buzz as a result of reports stating that the rumored Cadillac CT8 was cancelled. The vast amount of attention garnered by the reports was quite surprising for a product whose existence has never been confirmed, denied, or otherwise validated by anyone at GM or Cadillac. Regardless of whether the CT8 program has been canceled, postponed or, dare we say, still on track, hasn’t stopped us from imagining the direction in which Cadillac could take such a model. From there, the way we see it is that a Cadillac CT8 — still very much unconfirmed and very much imaginary — could go one of the following two ways. The first direction that a CT8 could take is to simply be better, bigger and more luxurious than the CT6. This brings us to market positioning, which is a rather involved topic which begins with the CT6. The CT6 can be looked at in two ways: as a direct rival to other full-size prestige-luxury sedans such as the Mercedes-Benz S-Class, BMW 7-Series, Audi A8, Jaguar XJ and Lexus LS, or as a vehicle that doesn’t rival those segment stalwarts. From a dimensional and feature standpoints, the CT6 is right there with the rest of the full-size sedan segment, but its $53,000 starting MSRP is at least $19,000 lower than the least expensive vehicle in the class (Lexus LS) and at most $42,000 lower than the most expensive vehicle (Mercedes-Benz S-Class). The CT6’s lower price point is perhaps a lesson learned from Cadillac’s previous pricing strategies, some of which which haven’t gone over well. As such, CT6 pricing appears to be straddling segments — giving customers access to certain size, quality, driving experience, and other characteristics or features found in full-size flagship sedans, but for a mid-sized price. After all, the CT6 is just hundreds off the base price of a Mercedes-Benz E-Class, one of the perennial stalwarts of the midsize luxury sedan segment. Despite today’s comparatively affordable nature of the CT6, we imagine that the pricing of Cadillac vehicles will steadily increase over time as the brand continues to reinvent itself in the marketplace, improve its image and its products. And that brings us to the so-called CT8. If the CT6 is positioned against the short-wheelbase versions of the 7-Series, S-Class, LS, and XJ, then a CT8 in the form of a bigger CT6 will simply compete with the long-wheelbase versions of those models. This means that the rumored CT8 would feature an exterior and interior mostly identical to those of the CT6, but with more luxury amenities (especially in the rear seat) and a much more potent standard powerplant. The biggest selling feature of such a vehicle would be more room, accomplished by stretching the CT6’s Omega platform. The second direction that we can see Cadillac taking a so-called CT8 is an entirely different model from the CT6. Granted, it would still ride on an elongated Omega platform, while having vastly different styling and delivering significantly more luxury amenities. As an example, imagine the relationship between the Audi A8 and the Bentley Flying Spur or what the BMW 7 Series is to the Rolls Royce Ghost. The Bentley shares the overall platform of the A8, while the Ghost shares the architecture of the 7 Series. But you would never know it just by looking at them. To note, the Bentley Flying Spur has a starting price of $200,000, while the Rolls-Royce Ghost starts at $295,850. These are prices that Cadillac could charge for the CT8, but doesn’t have to. Cadillac could also up the ante with the CT8 by creating a rival to the even more-exclusive and expensive Bentley Mulsanne (starting price: $303,700) and Rolls Royce Phantom (starting price: $417,825). But that’s an entirely different ballgame, one that would perhaps involve building vehicles entirely by hand, and offering mountains of bespoke options — from custom paint to embroidered seats, and more. It would put Cadillac in competition with the most expensive sedans in the world, but that’s nothing that the brand hasn’t been successful in doing before. Which direction would you like to see a (rumored and unconfirmed) Cadillac CT8 go? Which do you think is more likely? Talk to us in the comments. First off GMs Mark Ruess and Cadillacs JDN both confirmed a bigger sedan was on its way. JDN confirmed it in late 2014 after the car was reported of being green lit and Ruess was quoted on saying it in April of 2015 at one of the auto shows.. So it was confirmed by at least 2 GM executives however it was NEVER confirmed by GM that the car was killed off. I have also been told by a Cadillac rep that a larger sedan then the CT6 was on its way in a few years. As nice as the CT6 is its still not a flagship, rather a defacto replacement to the soon to be dead XTS. I can see the CT8 coming in as a whole different model with a 2 to 4 inch longer length and longer WB. It of course would have executive rear seating with a stationery floor to seat divider/armrest and the new TT V8 plus much more elegant styling then the CT6. When Cadillac trademarked CT2 to 8 they knew what the plan was, they knew where the CT6 would fit and they had GMs blessing on the models. If Cadillac is to be a serious contender it absouluty has to have this car. Agree with Cadillac needing a true halo vehicle to be taken seriously. Agree that nothing has officially come from Cadillac cancelling the program however the sedan market (luxury ones also) has really taken a sharp downward turn in the last couple of years towards crossovers/SUV’s and there does not seem to be an end to that trend. Maybe Cadillac will do a reboot and do an XT8 as the flag ship. It’s a real shame they’re not making a CT6 V. I know there’s going to be the TTV8, but with it’s dimensions and light weight, a +600 CT6 V would make a perfect entry into the other full-size luxury sedan market: Panamera, Quattroporte, and Rapide. Not totally disagreeing there but I think the 4.2TT V8 could put out better than 550HP and with the lightweight of the Omega would put it at better performance than the CTS V-Sport which I think is plenty sporty for a large luxury sedan. I do not think customers in the segment are likely doing track days in their S-Class, 7 Series or A8’s. While Cadillac was busy creating coffee shops and fashion lines, other people are creating the VFLs and Tesla Model X’s. I’m not saying that’s exactly what Cadillac should be doing, but it seems the creation process seems to be a little more fluid when there are fewer distractions. I honestly think they should just start working on the new CT6 for release in 4 years that competes head to head with features and size. Adding a stretch version goes against what they just said they won’t be doing and I think they need to build the brand up more before attempting a 200,000+ car. Agree that Cadillac is not ready for a $200K + anything right now. Brand equity and awareness does not justify that but doing a longer and better appointed version of the CT6 to more closely compete with the S Class and 7 Series of the world could work. I just do not see them only doing one vehicle of the expensive Omega platform. Something else has to be coming. Right? I think the better use of resources would be to compete head to head with CT6, add Escalade to that platform and a car like the ciel to be the flagship maybe take on Sclass coupe and a coupe like the elmiraj to go against the AMG GT S. This would bring in more people then just another boring sedan. Anyone who has seen pictures or video of Cadillac’s CT6; you will notice the CT6 does not fit being the very top of the Cadillac food chain given that the rear passenger leg room is not what you would expect in a true super-luxury car which means two things, Cadillac needs to build the CT8 or consider creating a long-wheelbase variant of the CT6. have you sat in the ct6 platinum yet? the leg room in the back was very noticeably alot more than the xts or and the last real Cadillac b4 the ct6 the dts. I don’t care what they call it, but a flagship sedan for Cadillac is a must. And the CT6, a lovely car though it is, isn’t it. And, unlike the CT6, Cadillac’s sedan range-topper simply must offer a V-8 and not offer a four-cylinder engine–CAFE regulations be damned. CUVs may be where the market is at these days, but I don’t care: After all, Cadillac is Cadillac, and not a clone of Range Rover. Cadillac’s bread-and-butter has always consisted of sedans. Make it big enough to take on the long-wheelbase sedans from the overseas big boys. A Cadillac competitor to the Bentley Mulsanne is a magnificent idea, but I’d settle for something that can take on the long-wheelbase Mercedes S-Class and BMW 7-series. I don’t care what they call it–CT8, CT9, or whatever–but Cadillac needs this flagship sedan. They need it now. They can build CUVs till the cows come home, but a Cadillac flagship sedan can’t come soon enough. Yeah, right, because having more options is bad! More options is not bad but in NA an S-Class sized vehicle with a 4 cyl. would not fly very well. Maybe in Europe when Cadillac is serious about competing there or in China to get by tax regulations it makes more sense but not on this side of the pond. Bigger doesn’t mean better. A flagship should be an ATS or CTS that is unparalleled. That no other auto maker can legitimately claim is equaled. We were told the CT6 was going to be the flagship. Then CT8. At some point we’re going to be building a lowered Escalade and calling it the “flagship” CT9. Cadillac should build unparalleled cars in each segment. A flagship by (one) definition is the ‘best or most important one of the group or system’ so Cadillac needs a vehicle that tops all their other models. The standard bearer. Unfortunately, the CTS Wagon was a narrow opportunity, made possible thanks to the Commodore Wagon. Because the CTS’s Sigma II platform was essentially a luxury-refresh of the Zeta platform, Cadillac already had the wagon frame, and even most of the body panels, done for them (by Holden). 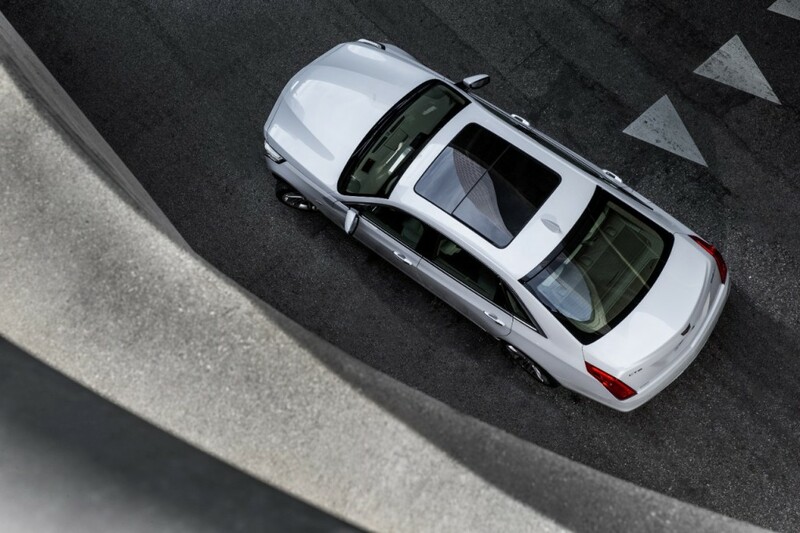 While Sigma II had many differences from Zeta, all of that work was done for the CTS Sedan. GM literally just had to do the body work for the rear door, taillights, and do some routine crash testing. 50 units was mostly a joke, but there was no doubt the CTS Wagon would be in the black on its own. This is also why the CTS Wagon went away – no Holden Alpha Commodore, no Cadillac Alpha Wagon. To stretch Omega platform another ten inches, would require far more effort – even if it was part of the original platform design. (Not sure what happened to the comment I replied to, someone asked how hard it would be to make a stretched CT6 into a CT8 if making the CTS Wagon was so easy to do – or something like that). CT8 will be cadillac’s top flagship sedan. I hope they go the route of building a huge, ultra luxurious competitor for Rolls-Royce and Bentley. Like the ’57 Eldorado in the link above shows, this is what Cadillac was in its prime and that is what it can be again. I agree with the potential rivals listed and expect the CT8 to be revealed when (not if) brand perception improves with those outside the GM base. That will allow them to be priced higher (more competitively) for more profit per vehicle as opposed to releasing it within the next few years requiring a comparatively discounted price. A halo will best fit an angel, and Cadillac is still working to get its wings. In all honesty, everyone knows that GM isn’t going to rest on being second best. Whether it is the ct8 or not, GM will have something. I was disappointed in the CR6 because of the cramped interior space and the extremely rough ride. As a temporary solution we traded our oldest DTS on a new 2016 SRX that had a softer ride than the CT6 but still less than the DTS even when we let 5 pounds pressure out of the tires. It had adequate front seat room. I will continue to use our remaining DTS on long trips until someone builds a large comfortable elegant sedan. A person should not have to drive a truck-like SUV to get a spacious comfortable car. I vote for the space and comfort in an elegant American sedan. Janes L. Christiansen, past owner of 15 Cadillacs, and 2 Lincoln town cars. Are we talking about the same car — the 2016 Cadillac CT6, right? Because that car has neither one of those characteristics. Maybe if you compare it to a yacht or a sofa, then yes — the CT6 is cramped and rough. Other than that, it is as spacious and refined as they come. I don’t think Cadillac should build a CT8. I think they should focus on the current sedan lineup. I’ve driven the CT6 and its a great car and a very good value. If it were available with a V-8 it might be even better. I own a CTS and love it…I’m not sure why its not selling, but Cadillac needs to figure it out and make the necessary adjustments to the product or the pricing strategy. The ATS needs a complete overhaul. Its cheap looking and expensive…simply NOT A GOOD VALUE!!!. Once the CTS and ATS issues are resolved Cadillac should consider a Flag Ship model, but I hope they realize that Bentley competitor is not the way to go. No one will pay a Bentley Price for a Cadillac. Very few people seem to be willing to spend Mercedes money on a Cadillac even though product is every bit as good and possibly better in some ways. Agree with you but think that Cadillac can do both. They can improve their current line up while expanding to new segments to better compete and react to a changing market. Cadillac is under represented in to many segments to ignore and even revamped versions of established luxury sedan models are losing volume as the stampede to crossovers continues unabated. The cts is not selling because its boring and dated. They must redesign every model, use the better materials inside. And yes, Cadillac NEEEEEEDS the models that will be above the ct6. Personally, I would not consider a CTS with a 4 cylinder under any circumstances..
A Cadillac deserves a smooth powerful v8.. I agree wholeheartedly. A 4 cylinder engine is simply not befitting of a proper luxury car. The first option seems more realistic. I can picture it filling out the Cadillac full-size price range with what will probably be a big coupe in the CT7 name. Between the CT6/7/8, I can picture a lineup that undercuts the S Class, while covering a similarly wide price range. I’m okay with that as long as Chinese taste don’t filter into the final designs of the CT7/8. But to fully encapsulate the best of Cadillac from all eras, I want it to feature a standard 130 inch wheelbase, 135 “Brougham”, and a 180 “Brougham d’Elegance”. I expect it to be as ostentatious as the Escalade ESV. Completely agree. I had a similar post some time back. New cadillacs must be different from everything we have now. They must get rid of the broing and dated art and science lines. Change that lifeless tail lights and create smth new. Get rid of the plastic buttons that we see in every models now. or wait till the Omega platform has ran its course and have totally different vehicle on a new platform such as a sleek and appealing large CUV with a 600+ V8 in around 2025.
in the mid cycle refresh…. grow the CT6 2-3 inches and put a V8 in it and make it more premium. by 2025 we could have a CT6 and CT8 as large Subaru Outback like sleek CUVs on the platform after the Omega platform with new, groundbreaking and Revolutionary designs and free of cheapness. The Outback is not that long or wide. Strange comparison. I have a suspicion that if this program still exist, Cadillac is working to make the CT8 a competitor to the S-Class Maybach and the recently confirmed BMW 9-series, while undercutting the price of those two car by half. I also think that a long wheel base version of the CT6 will arrive (mostly because the Chinese market dictates such a vehicle). This CT8 will be a step below an eventual Rolls Royce Ghost competitor that Johan de Nyschen said could launch in 2030 if the brand was up to building such a vehicle. I’m not saying that the future CT6/CT8 CUVs will be exactly like the Outback…it could be a little taller and longer than the Outback but have that sleek look. CT8 CUV : height 65 inches…..206 inches long…..75 inches wide. it could be a unique kind of CUV with luxurious interior….advanced riding and handling….and be vary lightweight. Rye..puff…puff..pass.. if you think that an Outback is on par with large luxury crossovers out there. Why the Outback instead of a GLS, Range Rover. Levante or Bentayga anyway? Those are the targets and not a $35K Outback. Styling is subjective but the Outback is hardly the poster child for styling. It will be a CT9 ultra luxury sedan, XT9 ultra luxury crossover in 2025 above these CT8 sedan, XT8 crossover. they said the CT9 and XT9 won’t arrive till 2029…but thing could change and I would like to see those high-end vehicles sooner rather than later….2025 would be a good bet for when CT9 and XT9 to arrive. 2025 would better than 2029. Honestly rye? 2029? 2025? What is this, guess the year game? Where are you pulling these dates/years out of? Even Cadillac doesn’t have anything official planned for those time frames; anything for a decade out is as tentative as this year’s election. 2025 or 2029 it’s one of those date, but there will be model’s above these CT8/XT8.